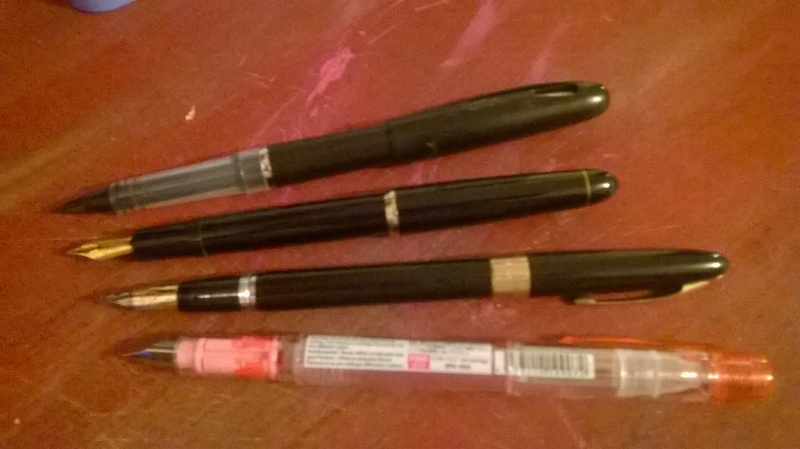 My dad is a pen fanatic. 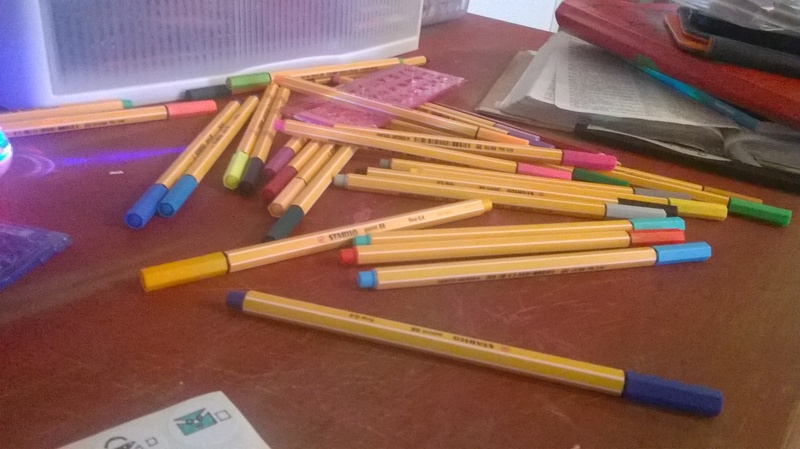 He buys pens and stashes them only to later unearth them thirty years down the road and give them to me. 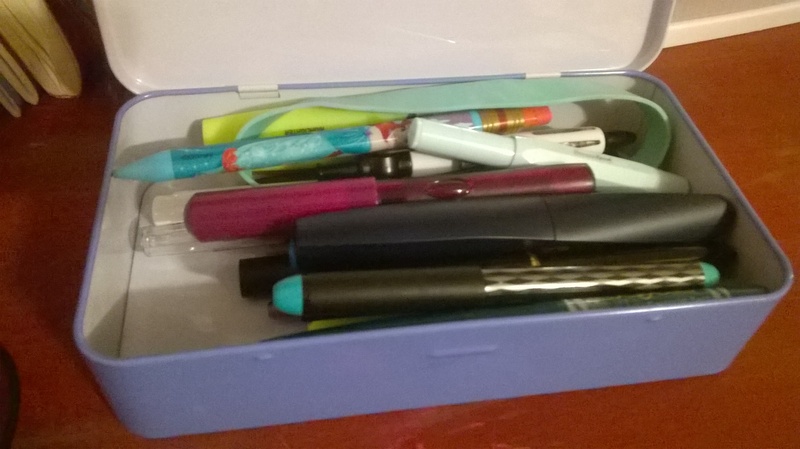 Because I, too, am a pen fanatic. 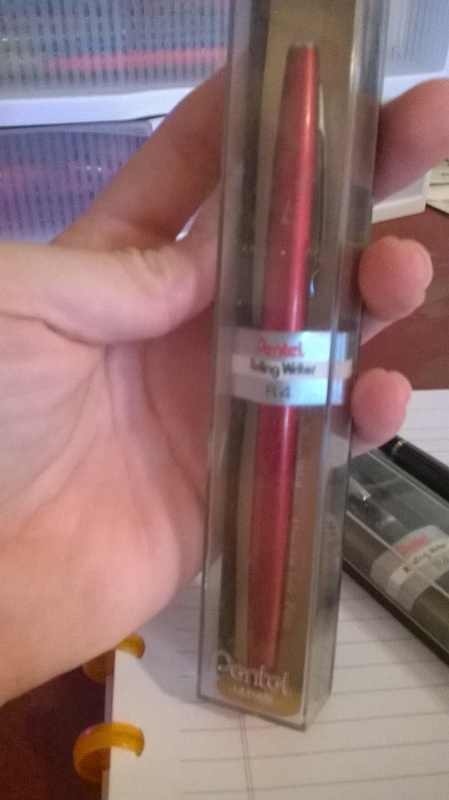 This is a Pentel Rolling Writer. In Box. Never been used. 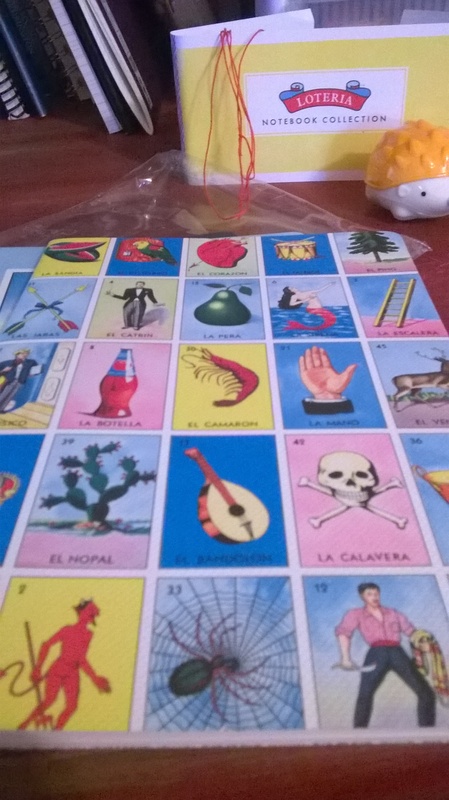 One red. One black. 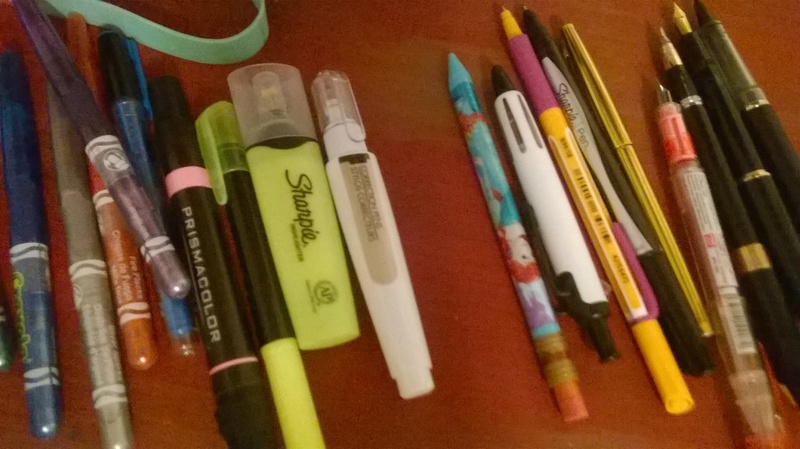 The green pen to the right is also a rolling writer, but I use that one. It’s also vintage. 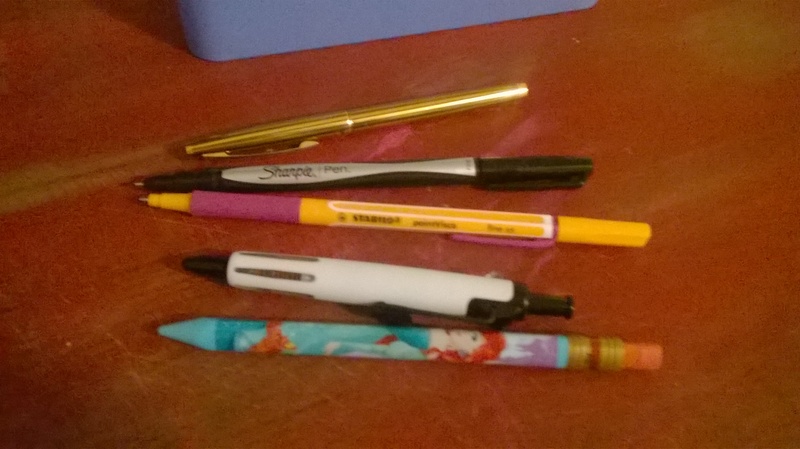 The Black and gold pen next to that is a super vintage pentel rollerball, but I can’t find any refills. That one is going to take some playing around with. I’m sure something out there somewhere will fit it. 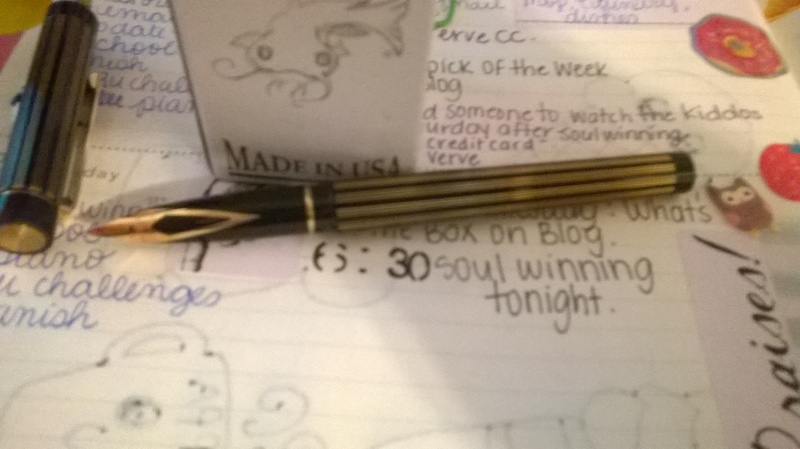 This is a mid-week update for my “Pen Pick of the Week”: a vintage Sheaffer TARGA. It’s never been inked, until now. Muah hahahahaha…. okay… ahem. 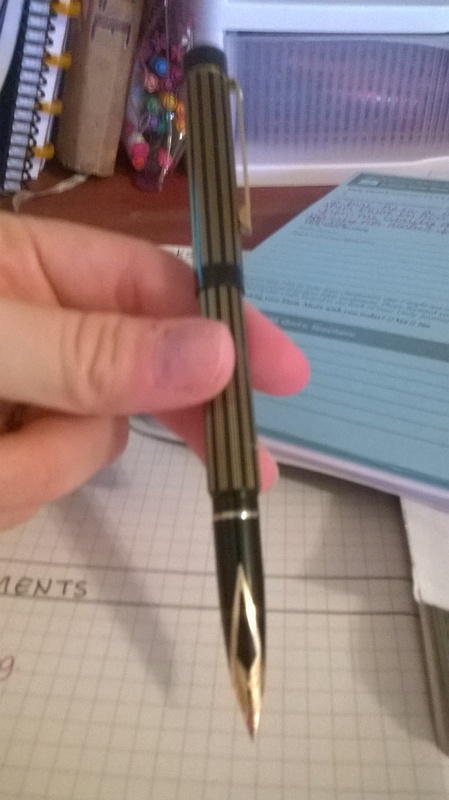 This pen is classic Sheaffer style. 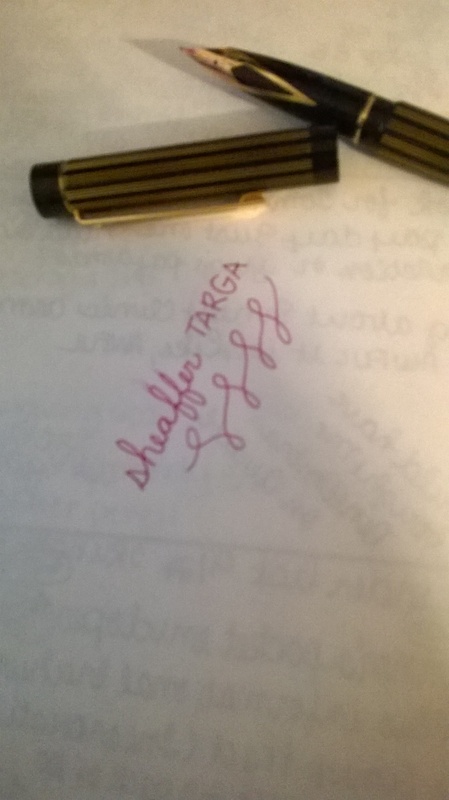 From the nib to the white dot on the clip, this pen says “SHEAFFER!”. The body is really heavy and you can feel the slight indentations of the gold and black stripes. 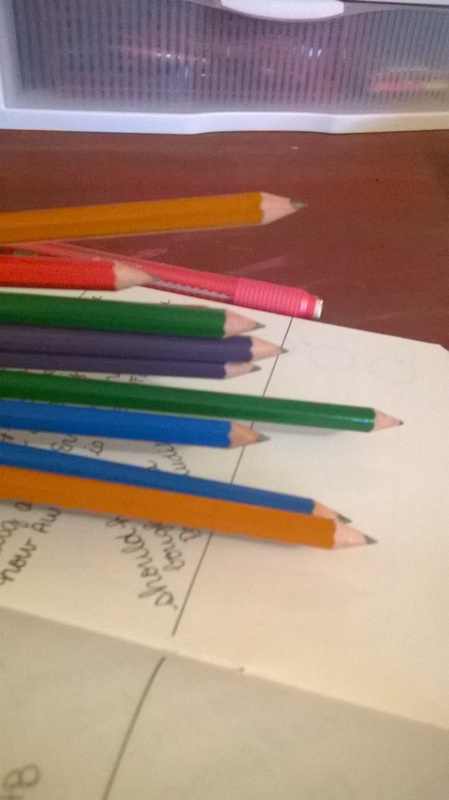 I enjoy the heaviness and I write really well with this pen. 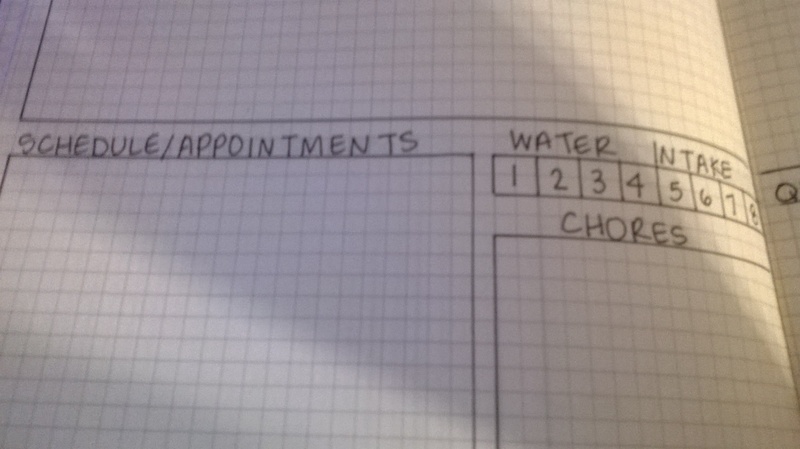 My handwriting looks GOOOOOD. 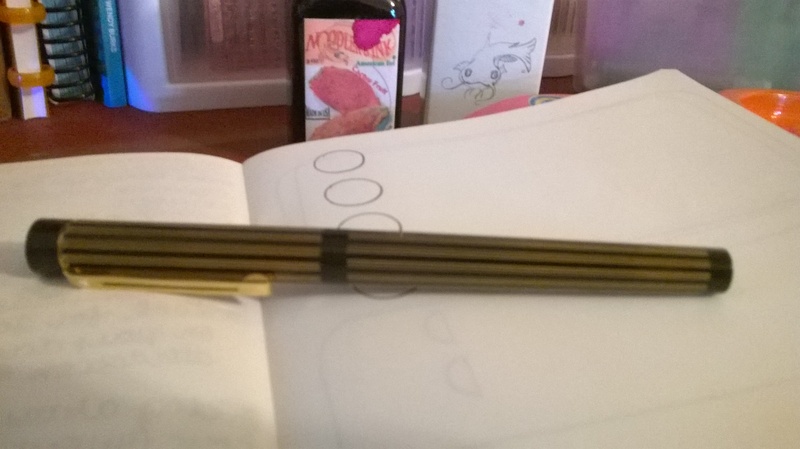 The nib is 14k and it’s an ink sack squeeze convertor type. 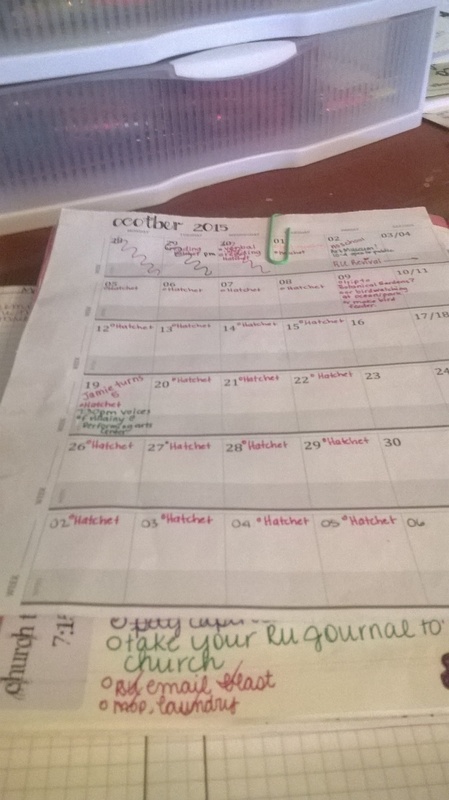 I’m using Noodler’s Cactus Fruit for the time being. I’m buying Kaweco’s Caramel Brown next month! I can’t wait. I need a fall ink. 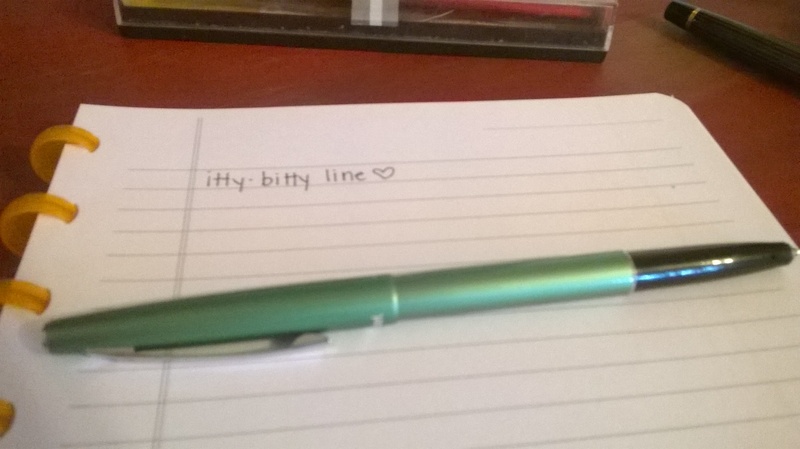 I’ve been using this pen non stop. It’s really nice on Fabriano paper. Here is some Fab with the grid pattern. No feathering. No ghosting. No bleeding. 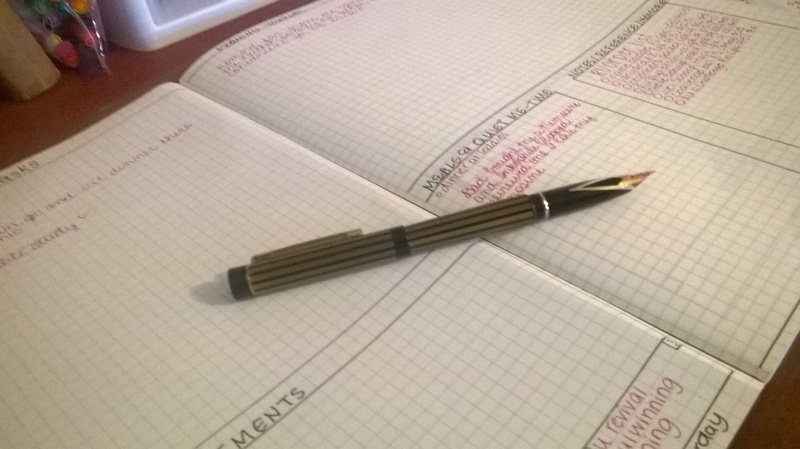 It’s been really nice using this pen with my planner companion. 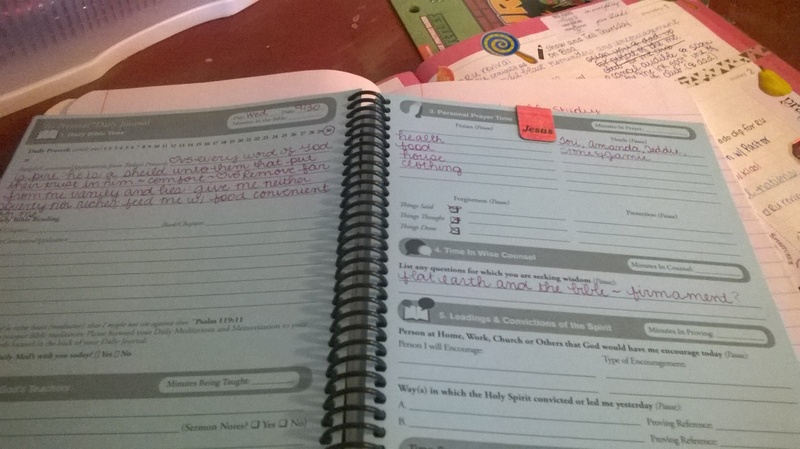 I’m using it with our October homeschool events calendar. 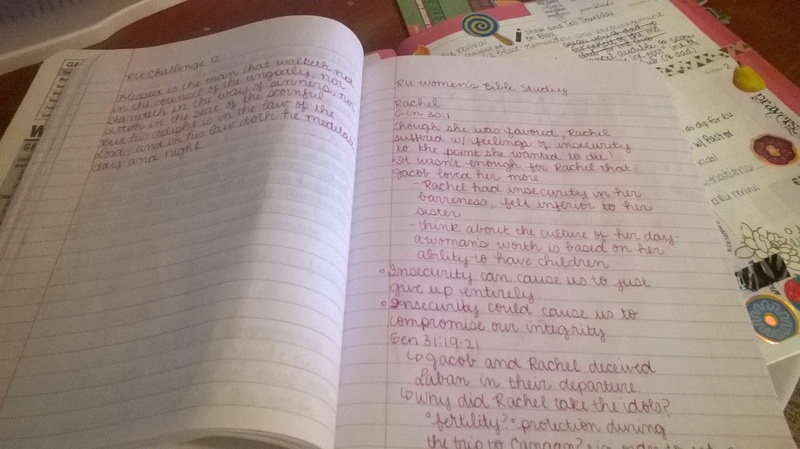 Notes for a women’s bible study. 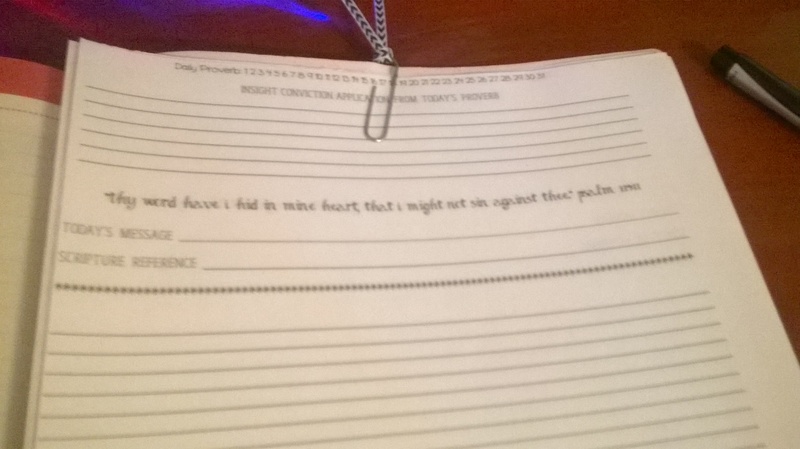 And even in the “It’s Personal Daily Journal” for the Reformer’s Unanimous program. 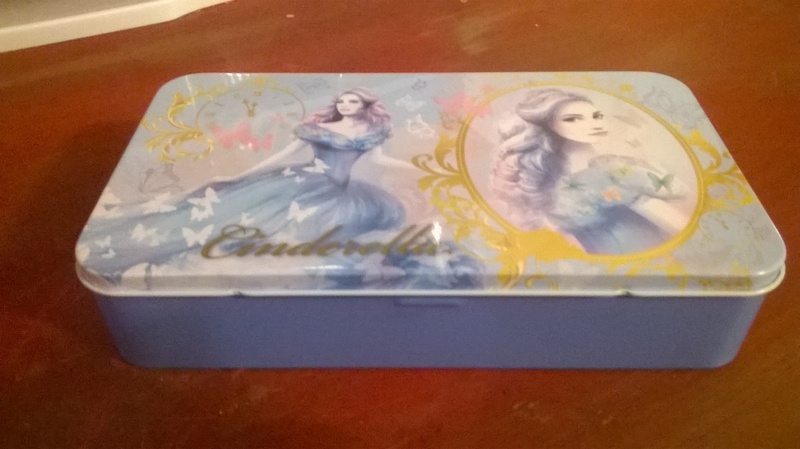 I use this box as a general case. 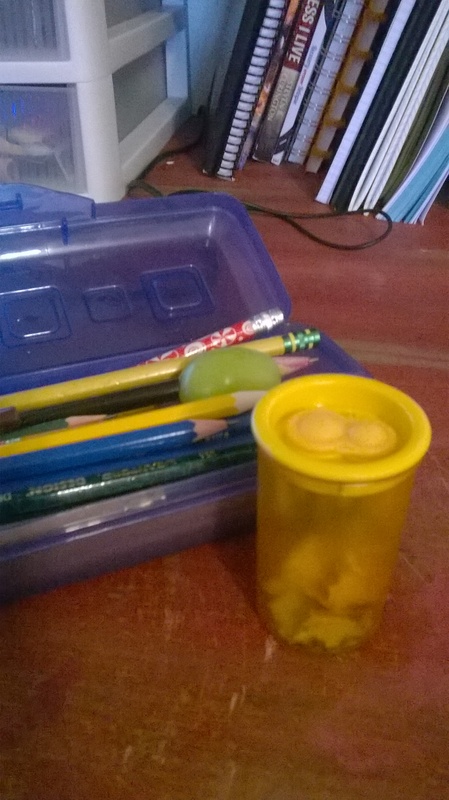 I usually stash things in it that I use on a daily or at least have in rotation. 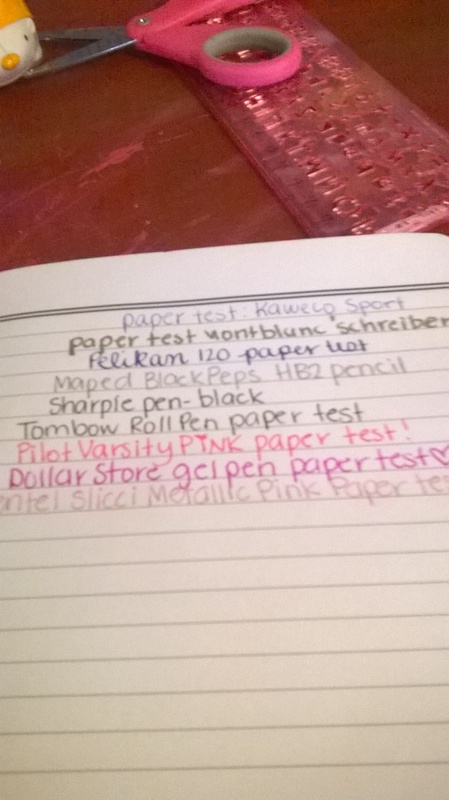 Fountain pens round one: Tradio felt tip, Vintage Pelikan 120, a vintage Sheaffer signature pen (I can’t for the life of me remember what it is called exactly), and a Platinum Preppy in pink. 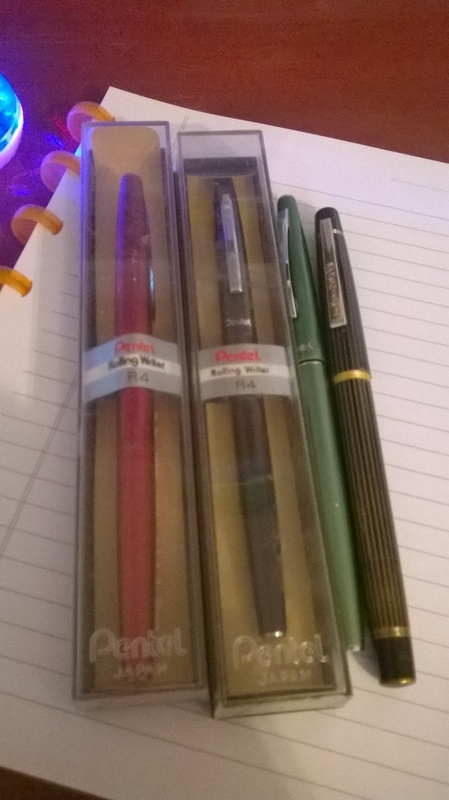 Fountain pens round two: Pelikan TWIST!, Kaweco Sport, Pelikan Junior, and a Pilot Varsity in green. 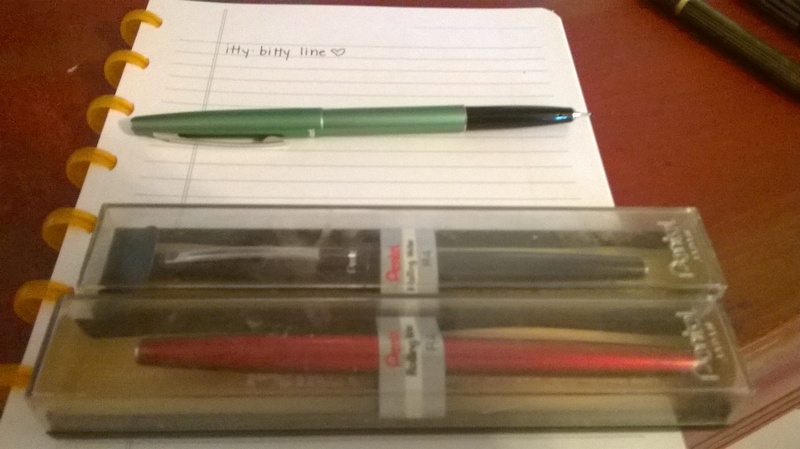 Random pens: vintage Pentel fine point, Sharpie pen, Stabilo pointVisco 0.5, Tombow Airepress, and a Papermate 1.3mm pencil. Markers: generic white out pen, Sharpie smear guard (see through window on the tip!) 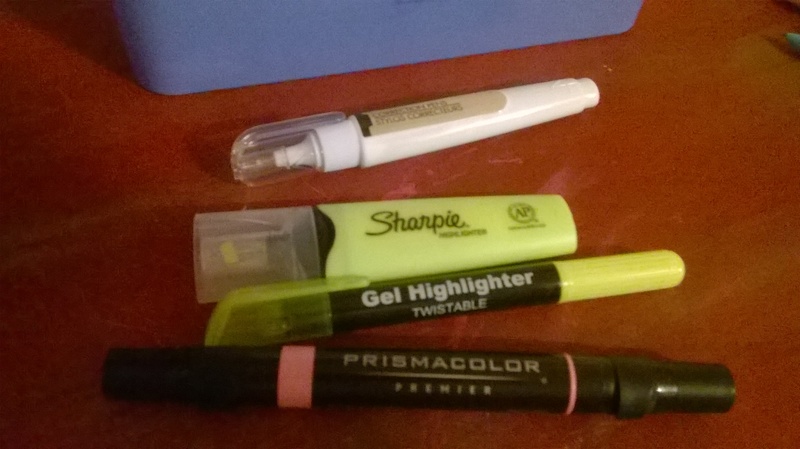 yellow highlighter, dollar store gel highlighter in yellow, and a PRISMACOLOR marker in neon pink. 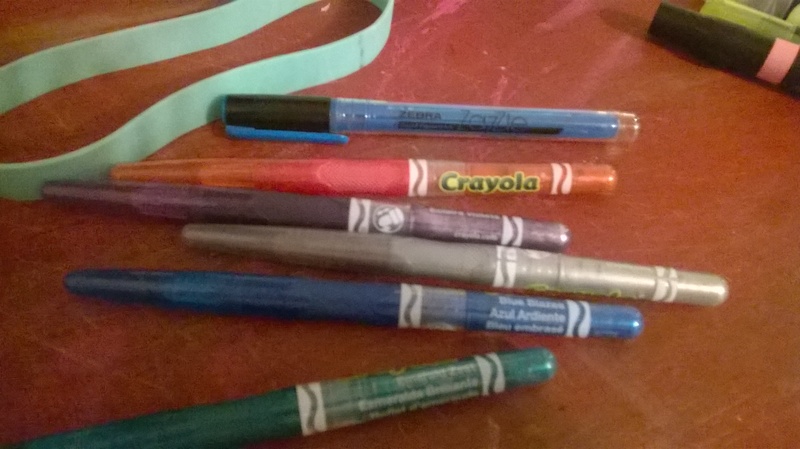 More markers: a Zebra Zazzle liquid pigment ink blue highlighter and a Crayola metallic marker set. 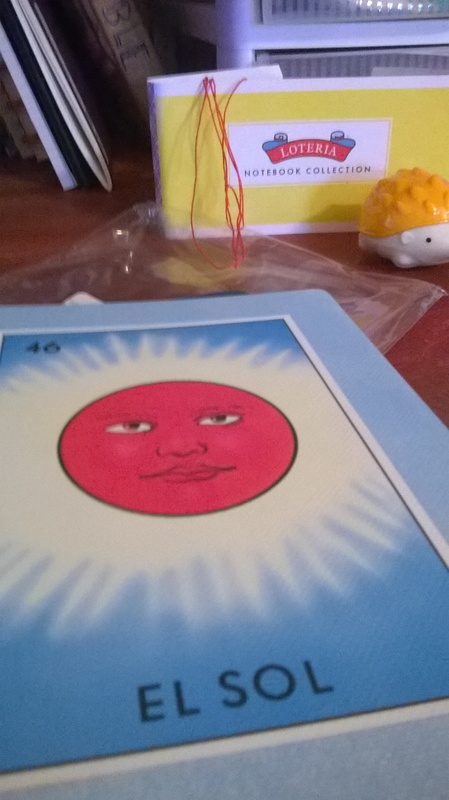 The rubber band thingy is a book band. 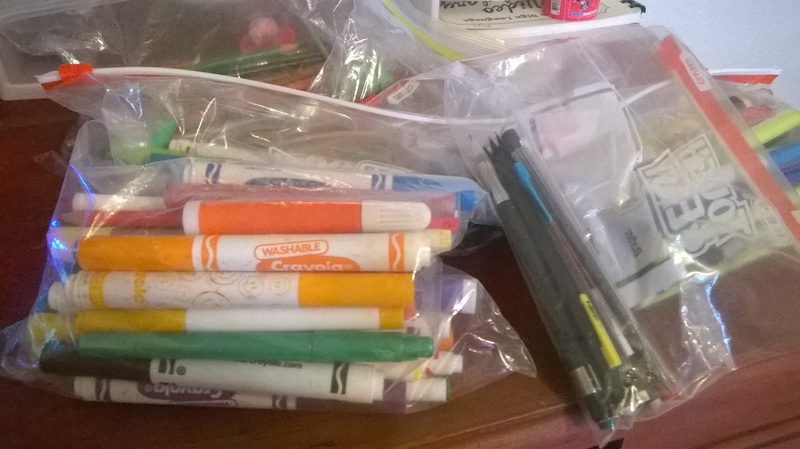 While at my MIL’s house on Sunday I was given this bag full of zip lock baggies. Suspicious, I know, but wait! 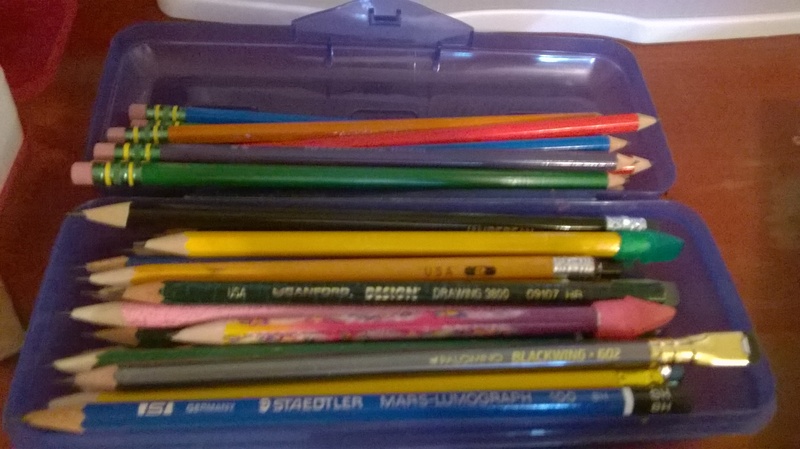 They are full of school supplies from my husband and my brother-in-laws days in elementary, middle, and high school. 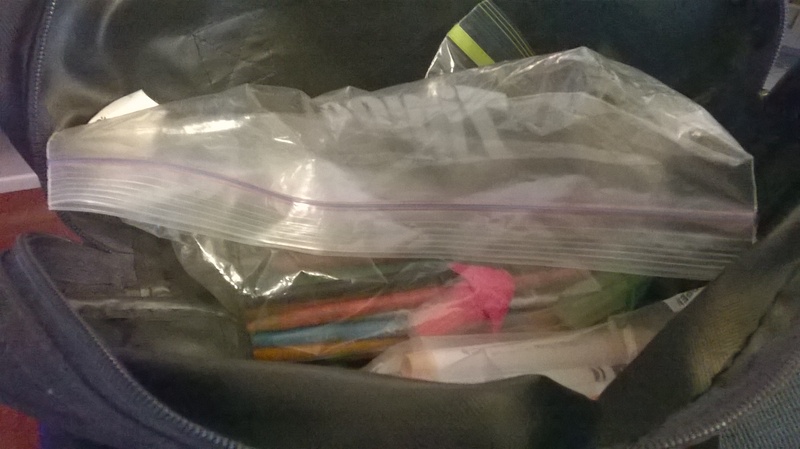 I decided to go through the “pencil baggie” first. 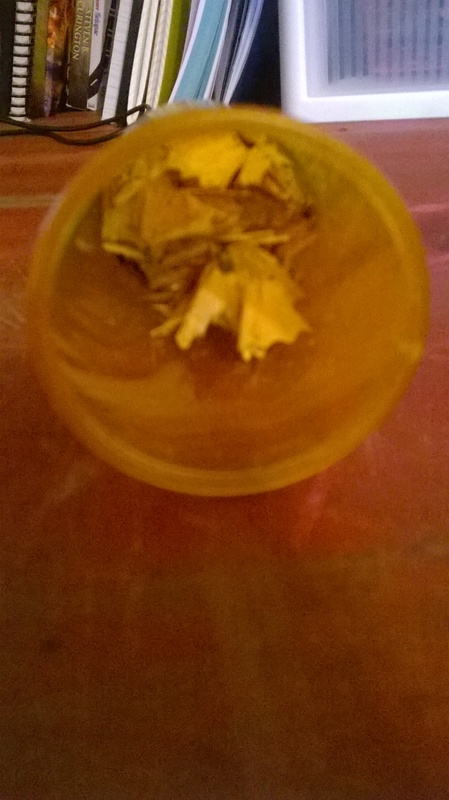 Some really neat stuff was in there! 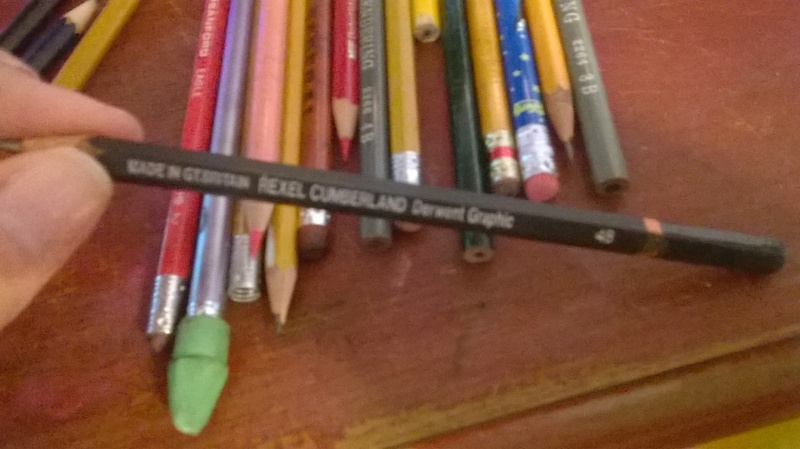 Like this Rexel Cumberland Derwent Graphic 4B Pencil. 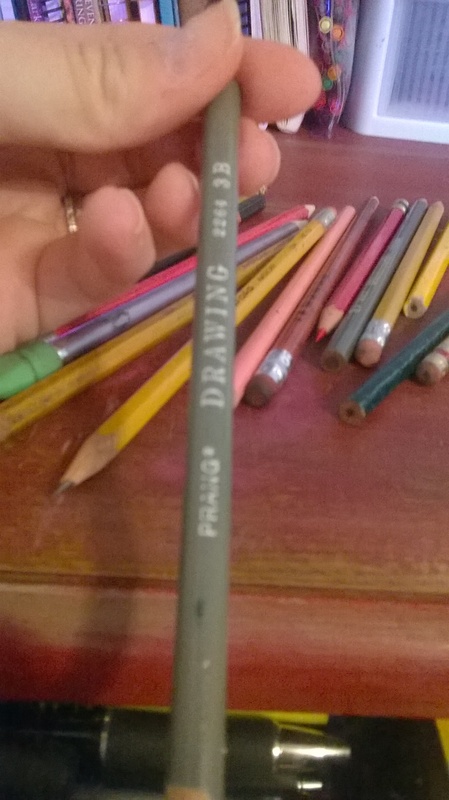 And several PRANG drawing pencils in different HBs. And an old SPARCO, which is my favorite. 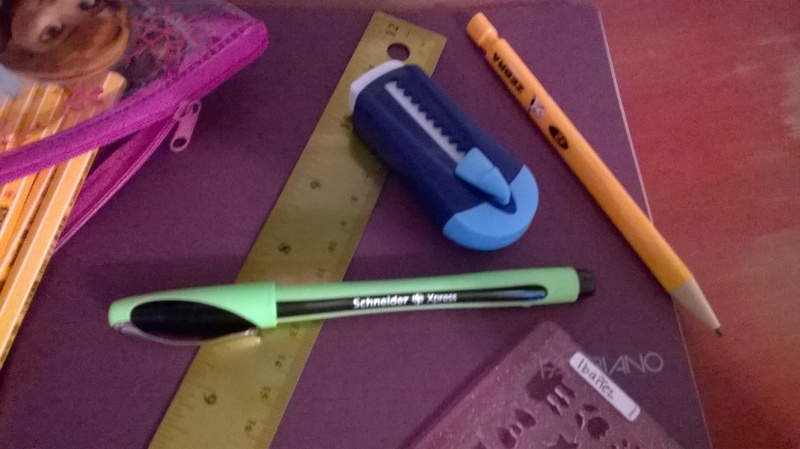 While I’m not a fan of the mechanical pencil, these Sanford mechs are pretty interesting. This one is going to be a fun one! 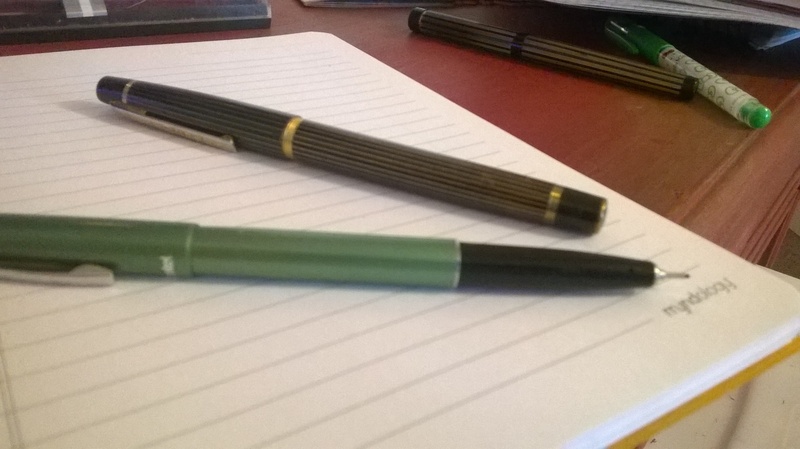 I picked a vintage Sheaffer TARGA for this week’s pen pick of the week! 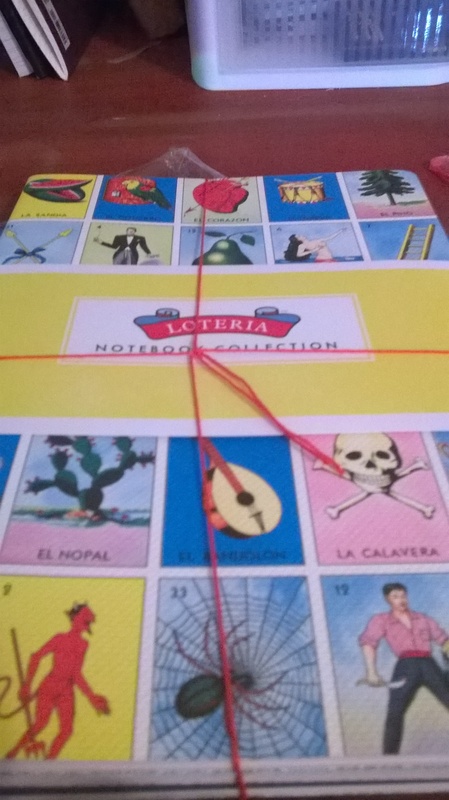 My dad gave this to me a few months back and I have never used it. I don’t believe he had, either. I love Sheaffer nibs, and I filled this one with Noodler’s Cactus Fruit. 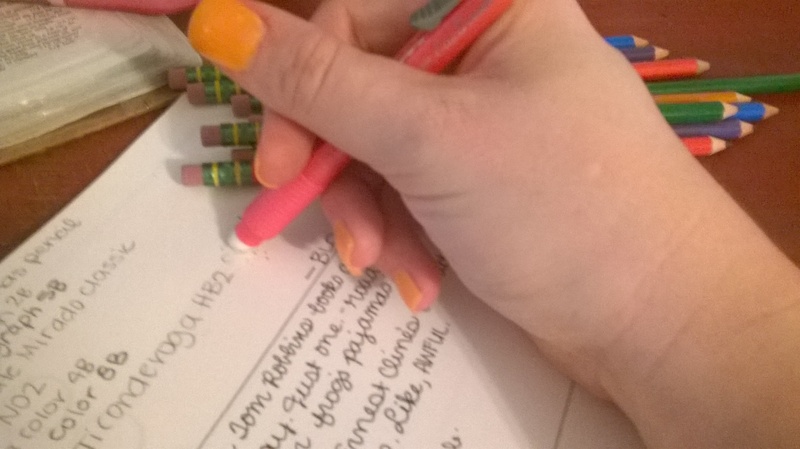 It’s one of my favorite colors right now! I’m loving that nib. Even the body is pretty and it’s a heavy body– which I love! 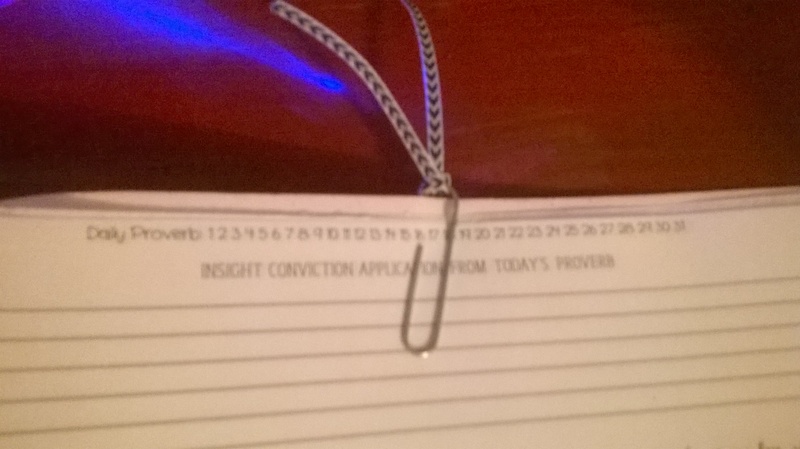 I’ll be keeping you posted throughout the week as I use this pen. 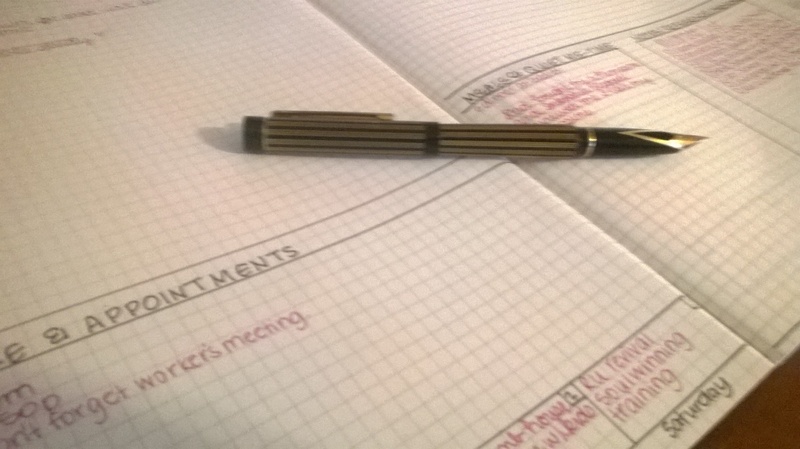 This is the only pen I’ll be using for my main writing needs: planning, note taking, and every day carry, etc. 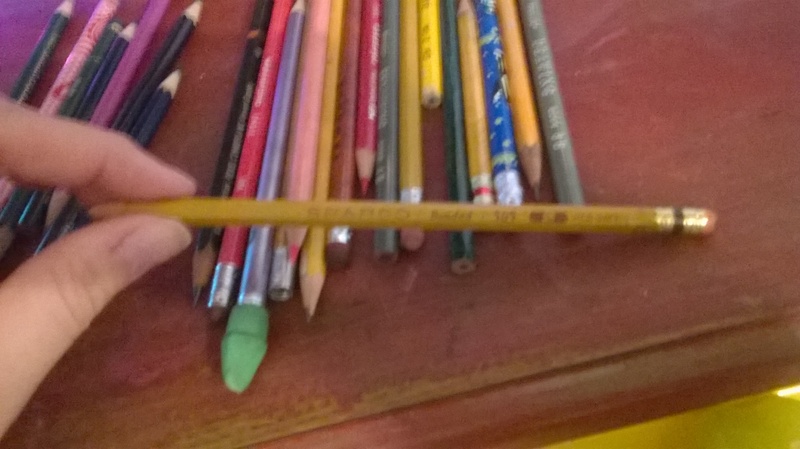 Today I received the world’s best pencil. Ten of them to be exact. 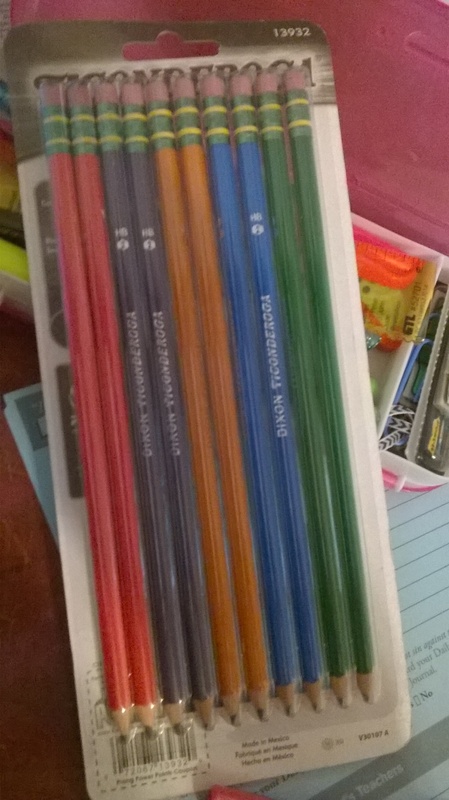 It’s a pack of Ticonderoga pencils in basic colors like red, purple, orange, blue, and green. 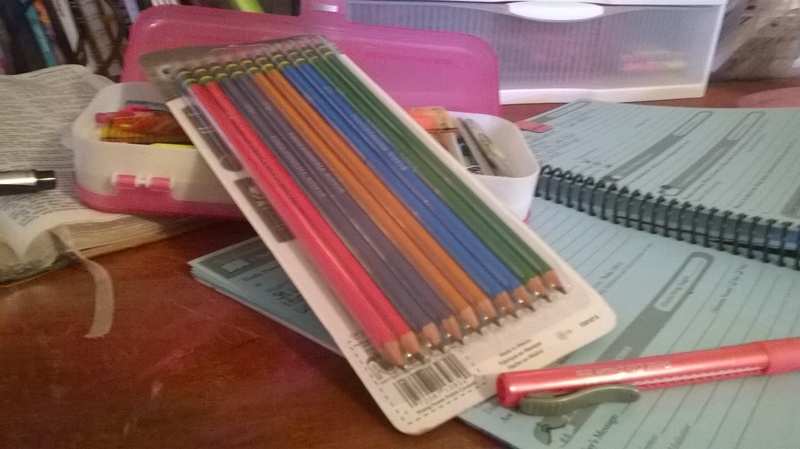 I am fortunate to have friends and family that support my adoration of pens, pencils, and paper. 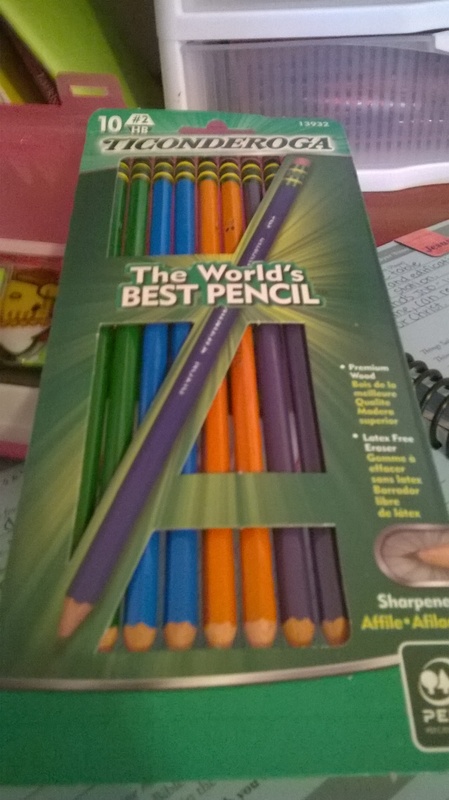 “The World’s BEST PENCIL”. We’ll see about that! Here they are front and center. 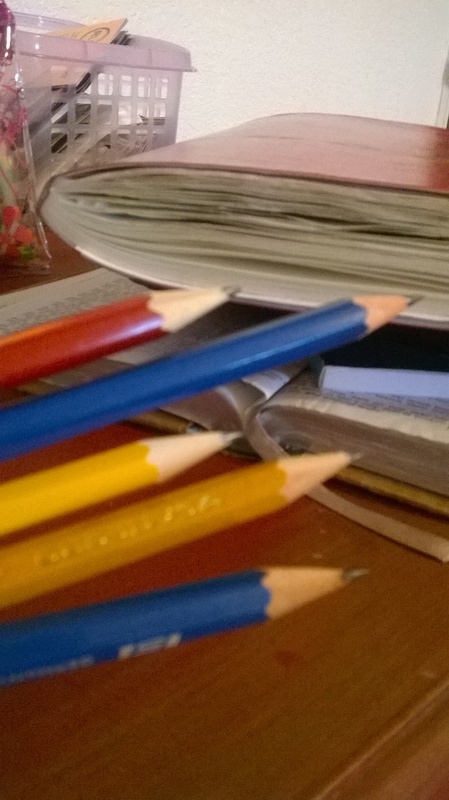 I like when pencils come pre-sharpened. 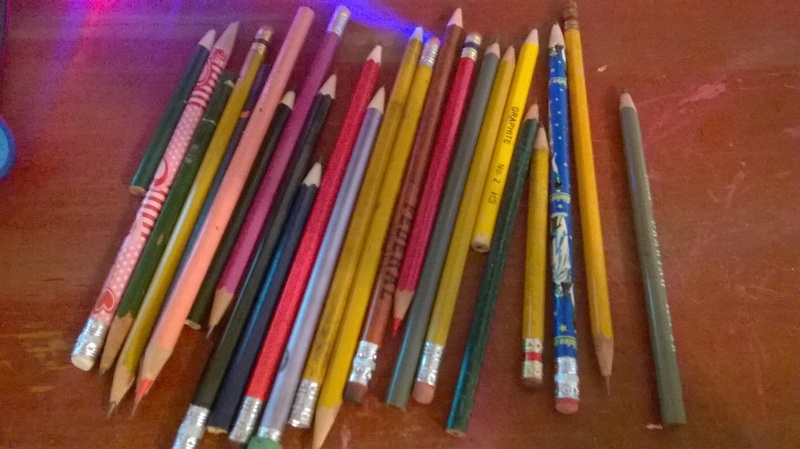 I logged it in my pencil collection inventory. I enjoy the feel of it. 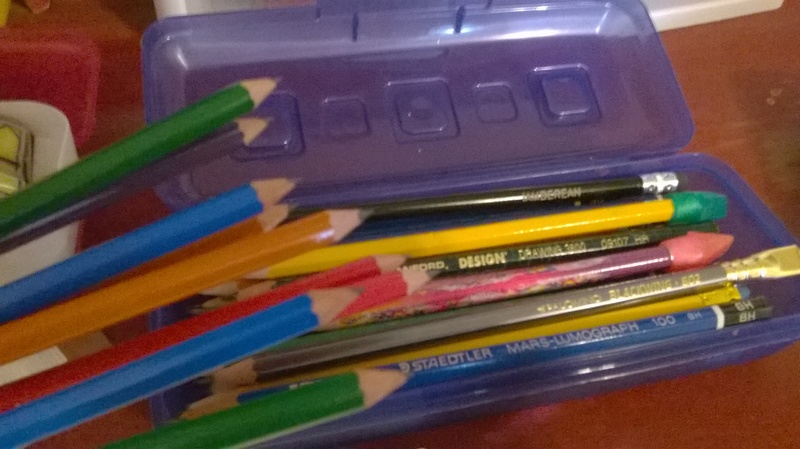 Hexagonal pencils are my preference. 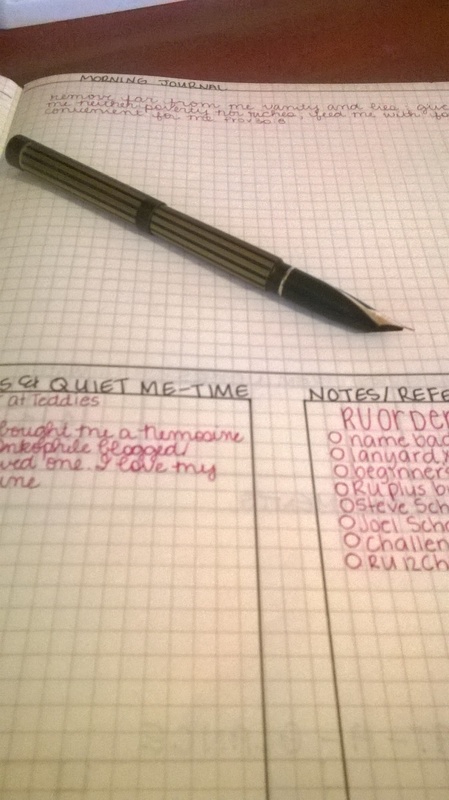 The lead didn’t catch, but I’m writing on super smooth paper: Fabriano. 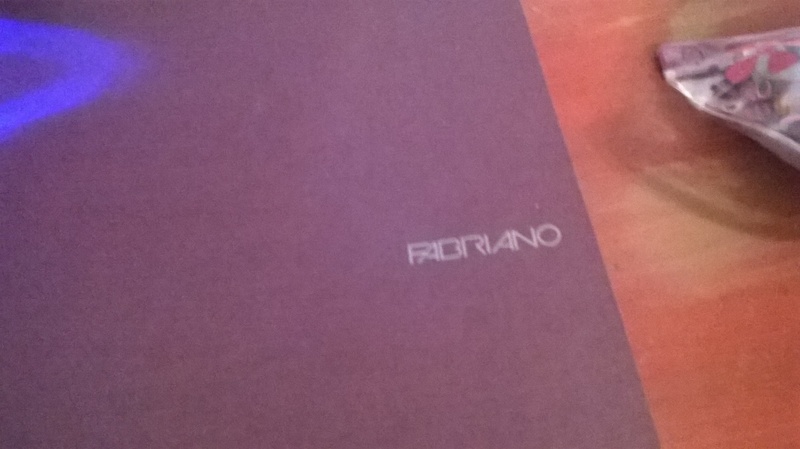 Fabriano is (one of) my favorite paper brands. It’s affordable, easily found (Hobby Lobby, people! ), and it’s a decent grade of paper. Here they are in all their pointy goodness! 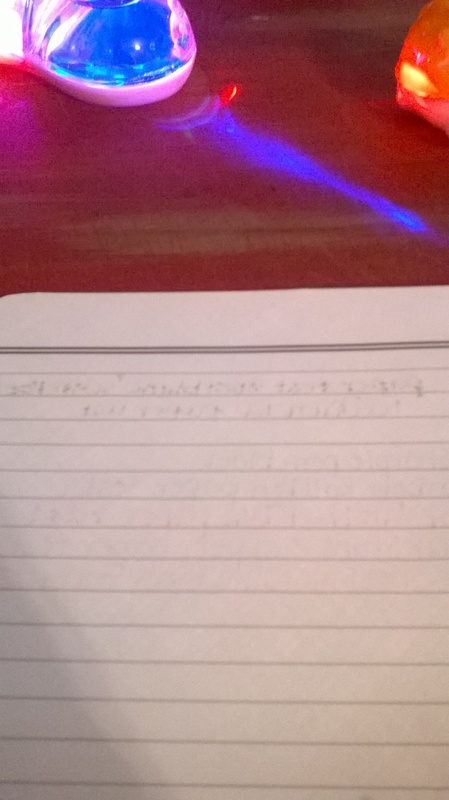 Using my Pentel Clic Eraser, I wanted to see how easily this pencil was removed from paper and the traces left behind. 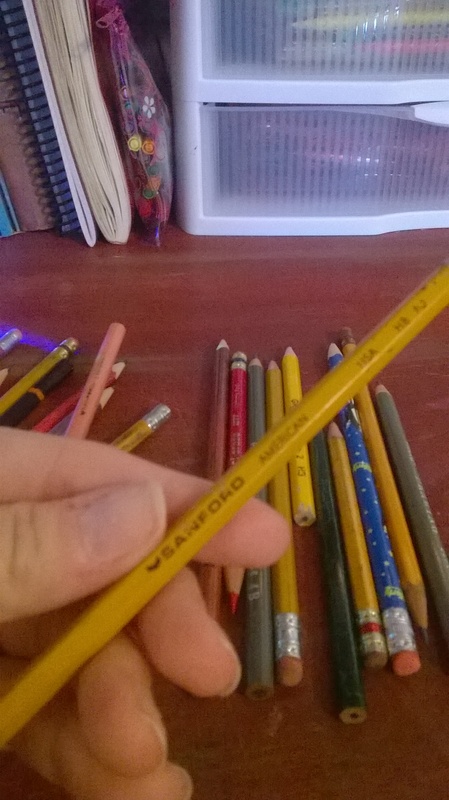 To my satisfaction, this pencil is easily removed with little residue! Time to introduce them to the rest of the bunch! Now I just have to decide which color to use! 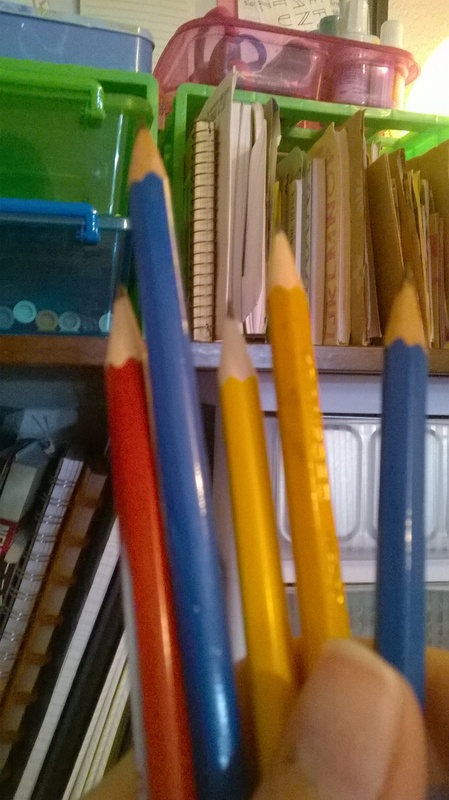 Here they are being integrated into the rest of pencil society. 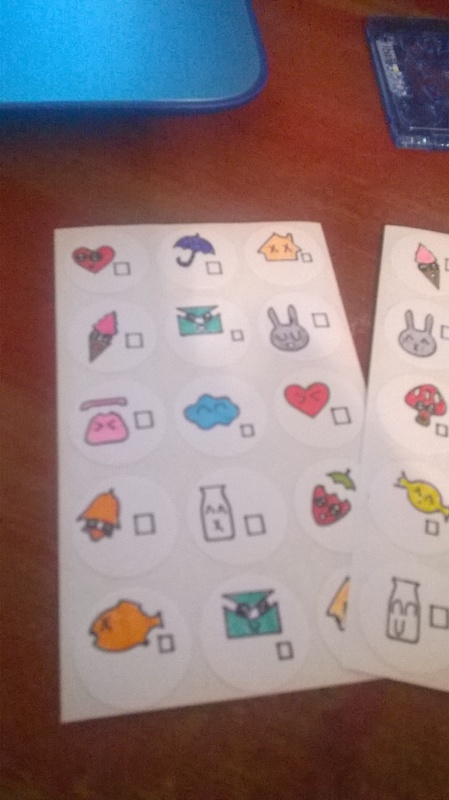 I made these super cute “kawaii-ish” stickers using white dot stickers and a stencil. Along with some Stabilo fineliners, these came out super cute! 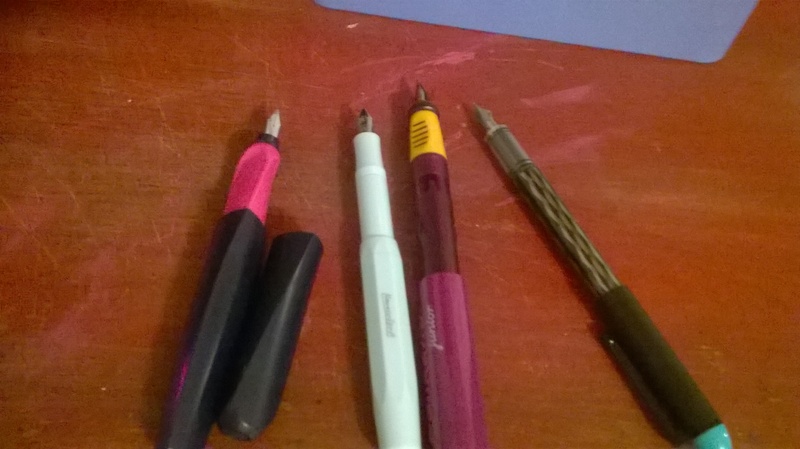 My favorite go-to pens for just about anything. 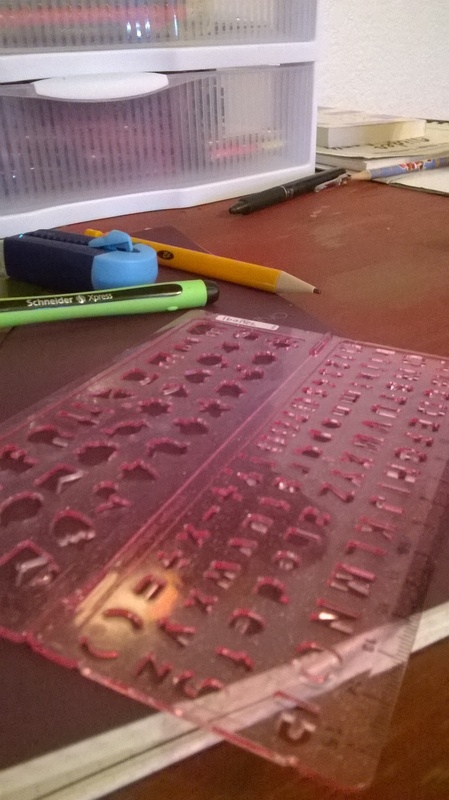 From planning to crafting, these guys get the job done! 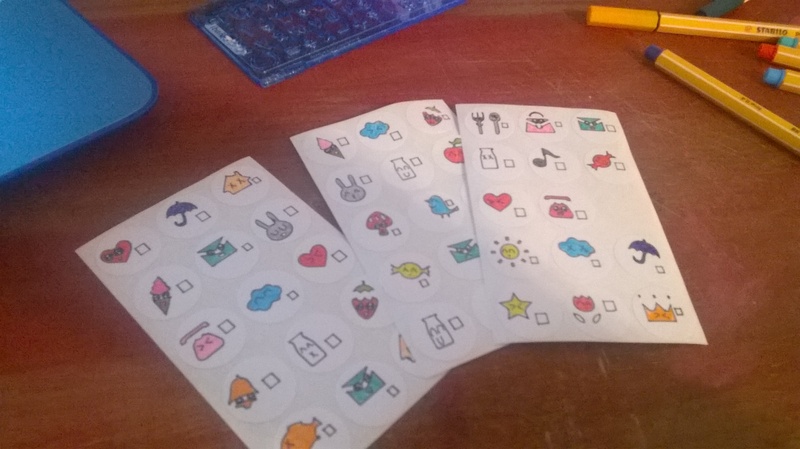 Using these stencils I made the cute designs on the stickers. I used a Sharpie pen for the outline and then filled in the colors with the Stabilo fineliners. 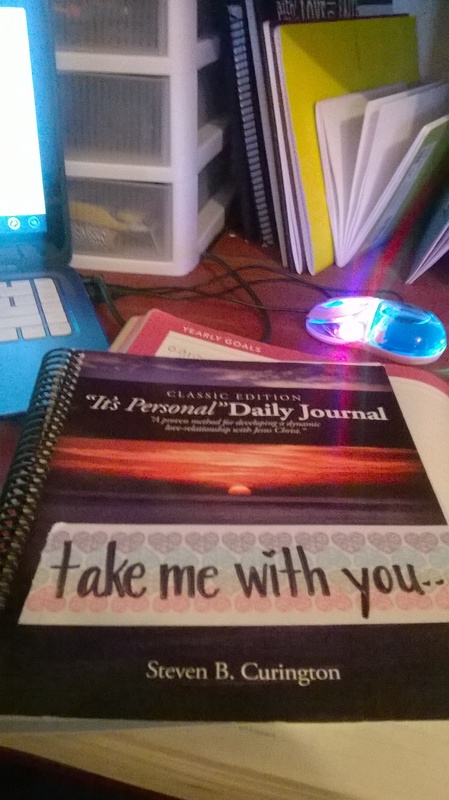 “It’s Personal Daily Journal” is a thing that I’m using for our Reformers Unanimous ministry. I ALWAYS forget to take this with me and sometimes I forget to use it. Hence the giant “take me with you” sticker on the front. These are the pages in the daily journal. 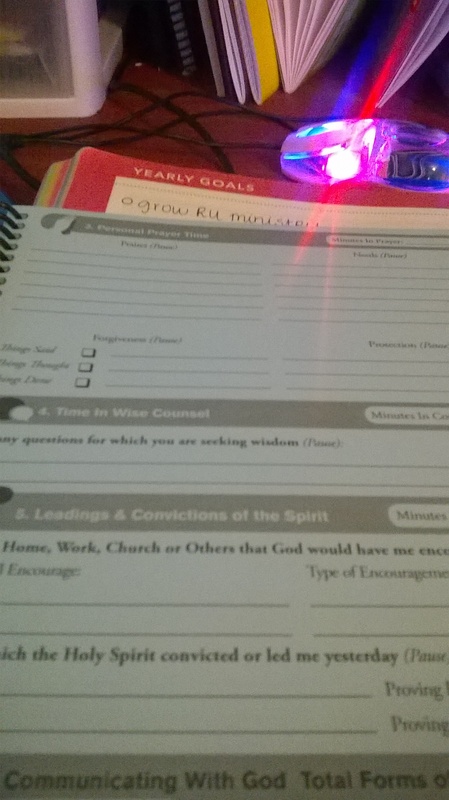 I really enjoy this journal for holding me accountable to staying in the word and buffing up my prayer life. 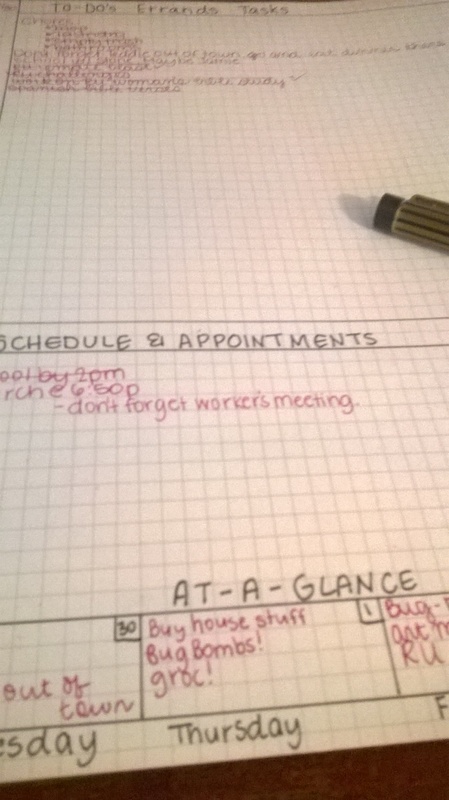 BUT, I keep forgetting to write in it because I am SUPER DUPER busy. 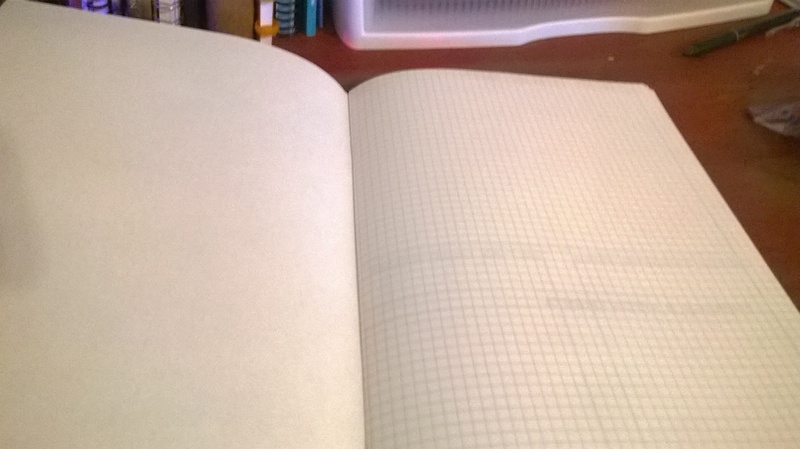 So, I came up with a solution! 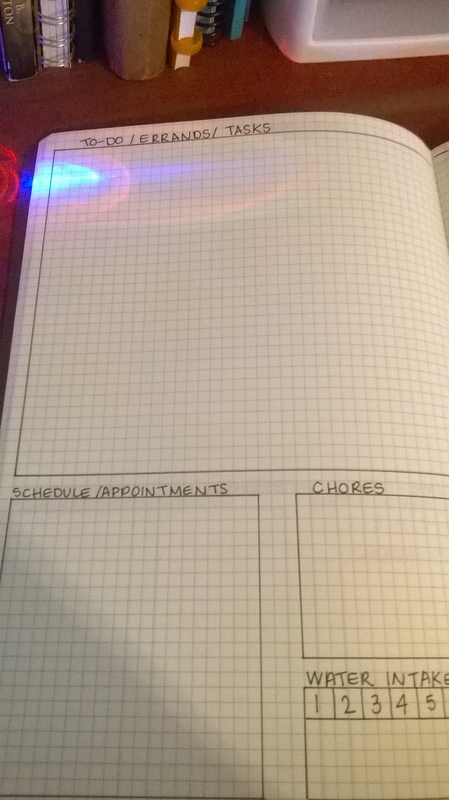 So, I made these condensed daily journal pages that fit perfectly in my planner! 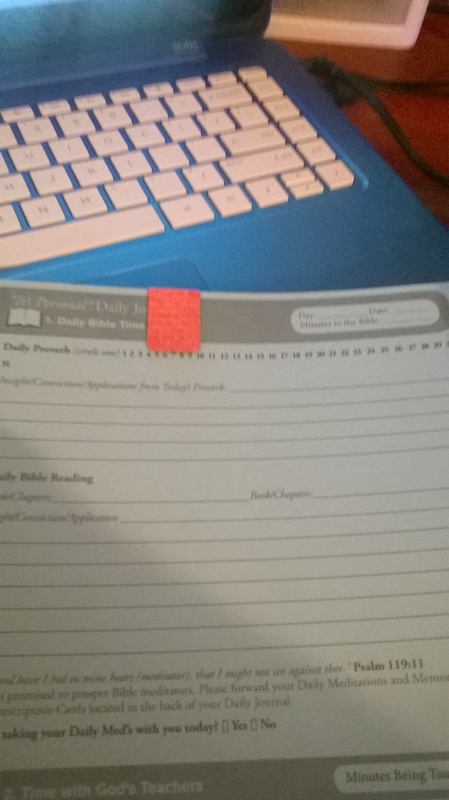 I rarely forget my planner, so by having these in the back I can still stay in my daily journal even if I forget. 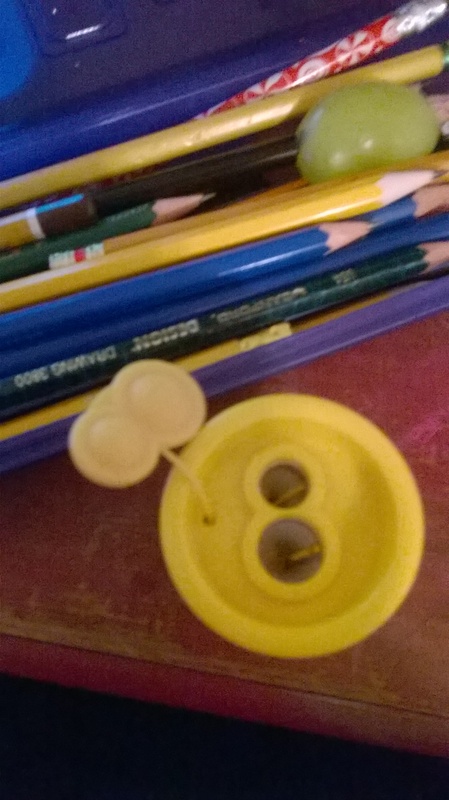 I ❤ my Kum magnesium dual hole pencil sharpener! 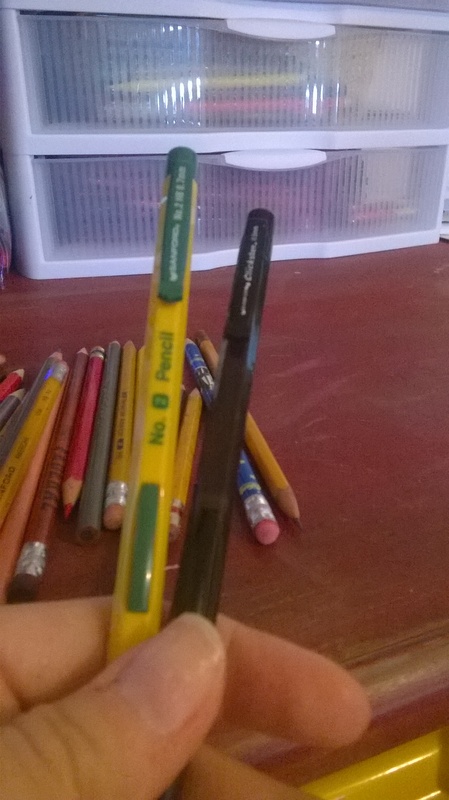 It sharpens even the most difficult pencil and I love the barrel reservoir! 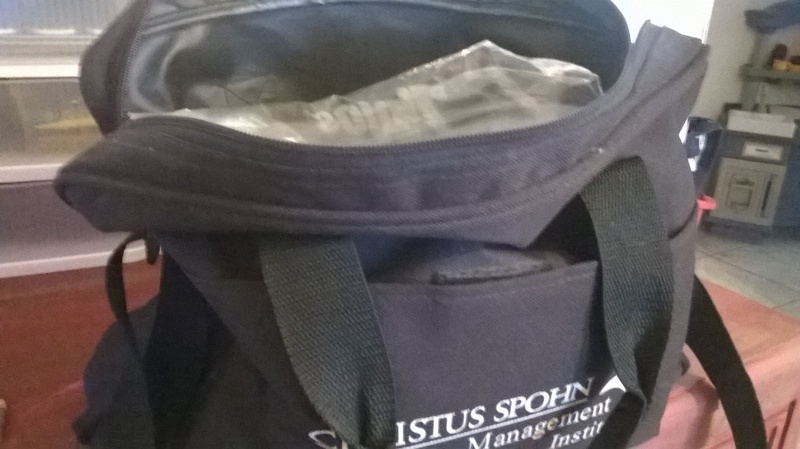 The lid fits securely over the body and there’s a cap that fits over the holes. This piece is replaceable. It’s only a couple of bucks and the blades are precise! It can hold a lot of shavings, too. 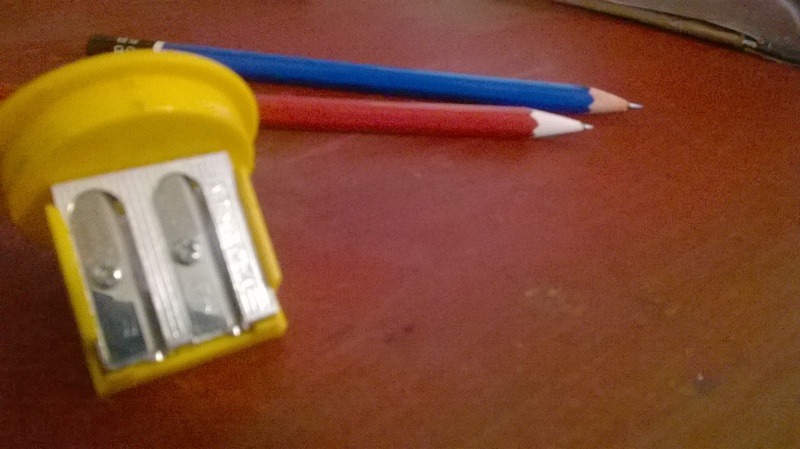 I never thought to invest in a decent pencil sharpener, but this one takes the cake! 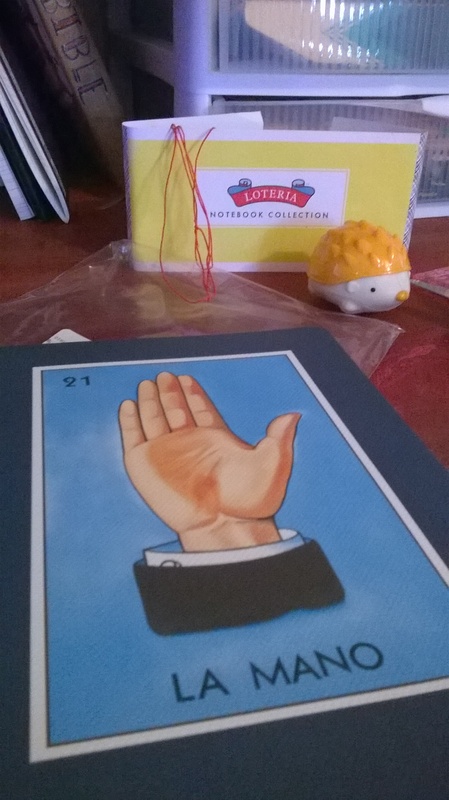 While in Austin for Labor Day, I picked up trio of notebooks at The Paper Place. 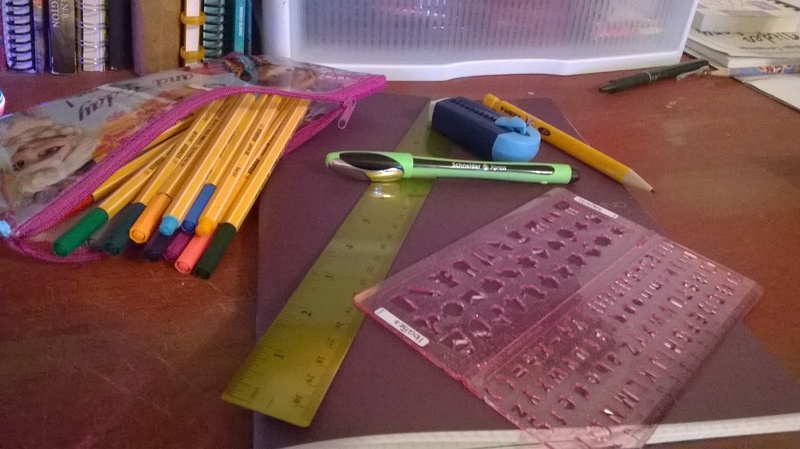 I enjoy this kind of artwork and the notebooks looked well made, too. 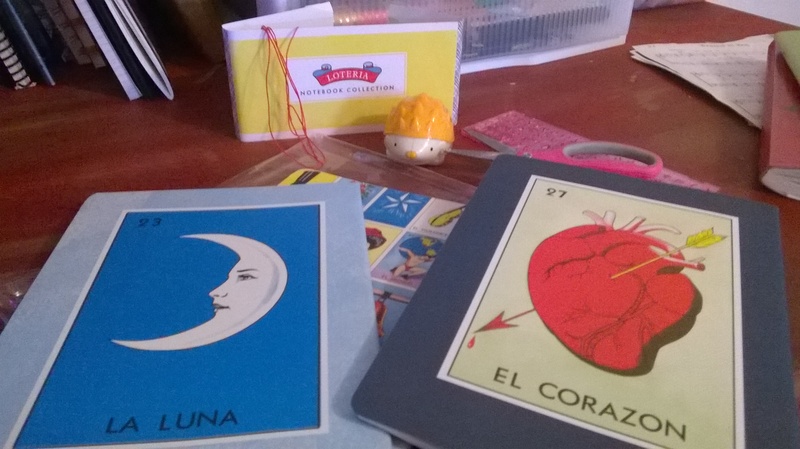 Here the pack is unpackaged and the red string and binding cover have been removed. The colors are so VIBRANT! 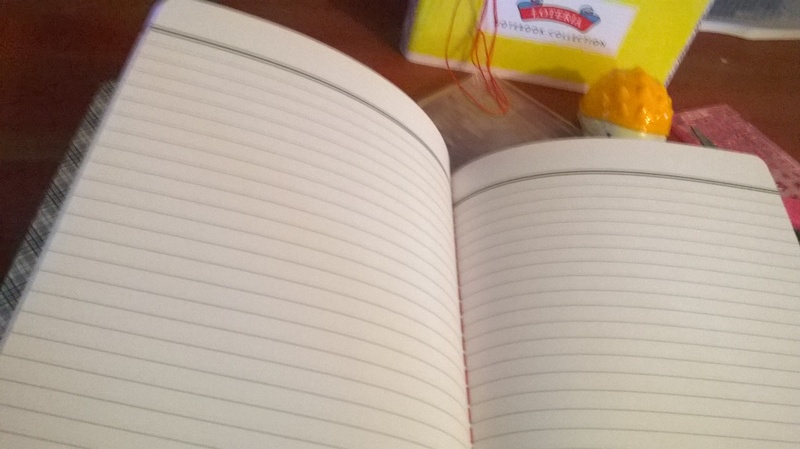 The inside of the notebooks are really nice. 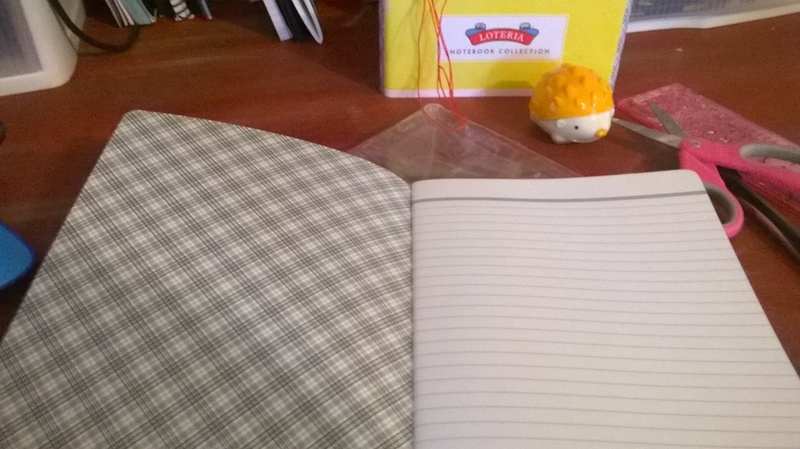 The paper is thick, a bit toothy, and the inside cover is a pretty gray and black plaid design. 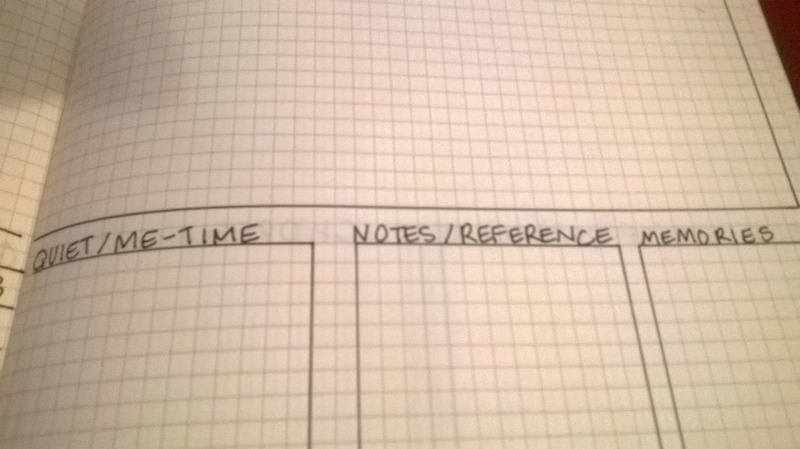 There’s a heavy black line at the top of each page- perfect for titling! Opened to the middle exposing the red binding. Here’s an ink test with several different pens and pencils. The best wet ink performer was my Kaweco Sport. The poorest performer was the Montblanc Kugelschreiber. 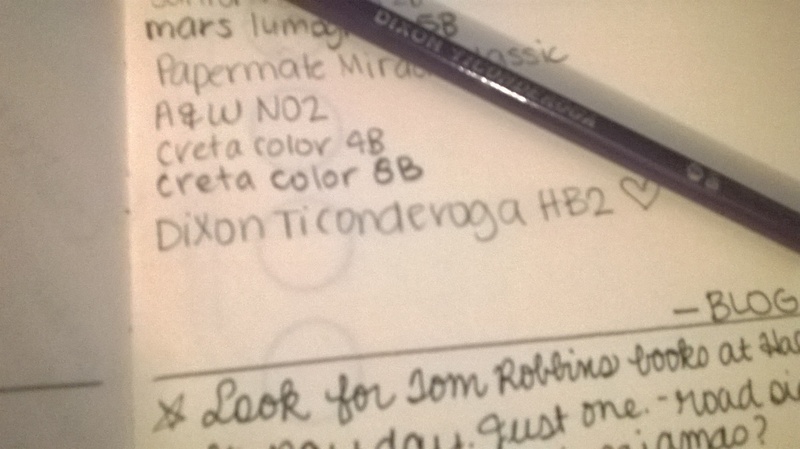 The Tombow rollerball pen didn’t do too well, either, but it didn’t bleed through. Just some mild ghosting. 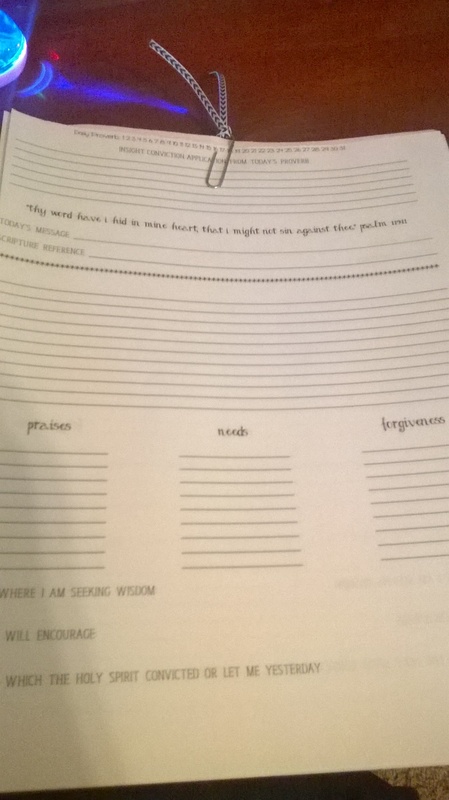 Here’s the back of the text page. I don’t think this paper is made for wet ink, but the notebooks are too pretty in design for me to really care about that. 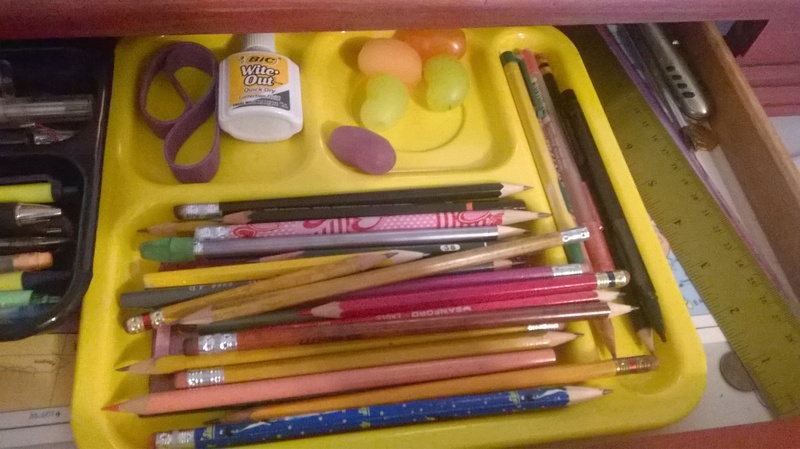 I can use a ball point, pencil or gel pen when using them.